The All Progressives Congress (APC) has inaugurated a 10-member technical committee on the tenure of party officers following a resolution of its National Executive Committee. 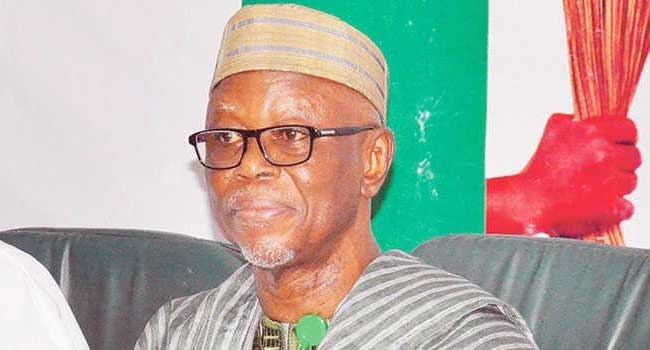 National Chairman of the All Progressives Congress (APC), John Odigie-Oyegun on Tuesday inaugurated the Party’s National Executive Committee (NEC) Technical Committee to examine President Muhammadu Buhari’s position on the tenure of party executives vis-a-vis NEC’s resolution of February 27, 2018. After that advice, Bolaji Abdullahi, the party’s spokesperson, announced that the NEC had set up a small technical committee to advise the party on the matter. He said until the submission of the recommendations of the committee, the decision to extend the tenure would remain. In attendance at the inauguration was the committee Chairman, Governor of Plateau State, Simon Lalong. Other members of the 10-member Technical Committee are: the Secretary to the Government of the Federation, Boss Mustapha; Governor of Oyo State, Senator Abiola Ajimobi; Governor of Kaduna State, Nasir El-Rufai; Governor of Ondo State, Olurotimi Akeredolu, Senator Ben Uwajumogu; Kabiru Ajana; Elisha Kurah, C.J.N. Dakas, SAN and the APC National Legal Adviser, Dr. Muiz Banire, (Member/Secretary).